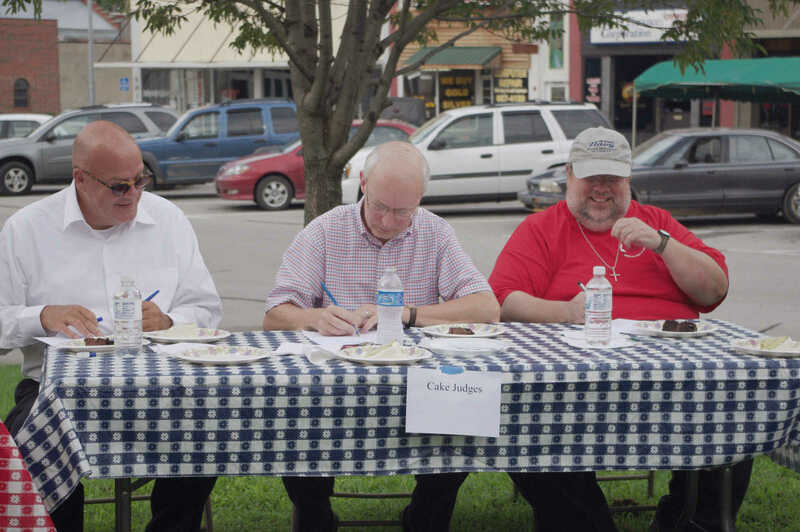 Cake judges at the Triple Treat Competition score the entries. 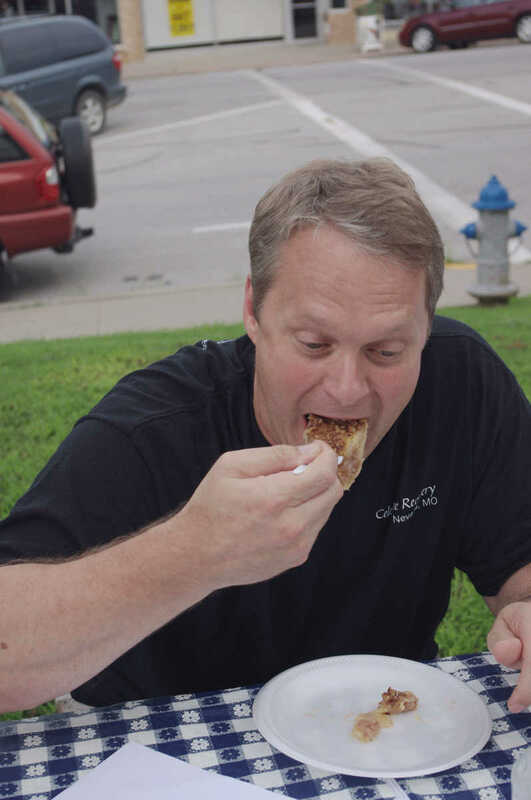 A Nevada local chows down on one of the entries in the Triple Treat Competition. 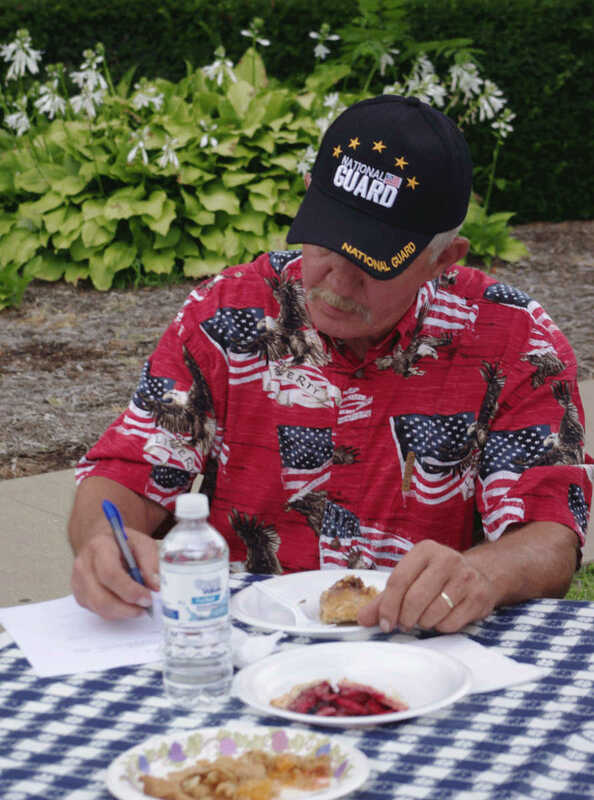 One of the judge's examines a cake entry. 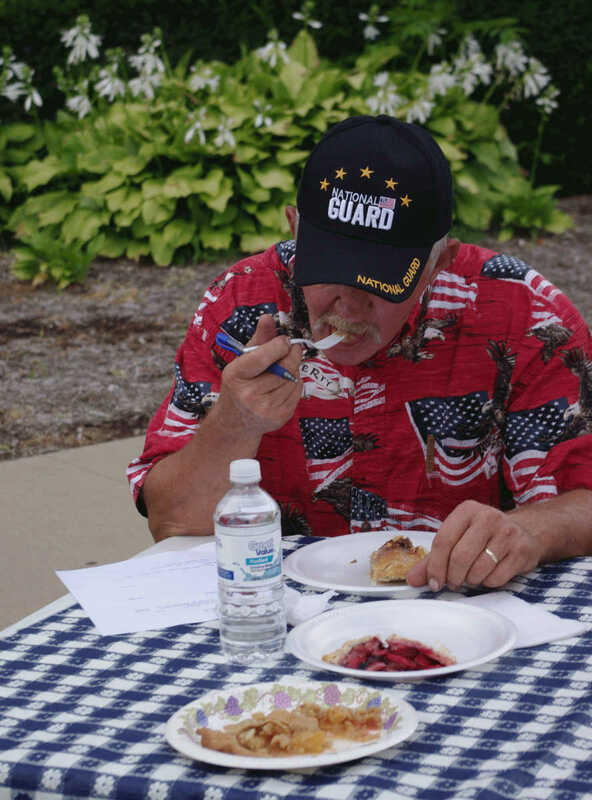 A pie category judge scores the entries. 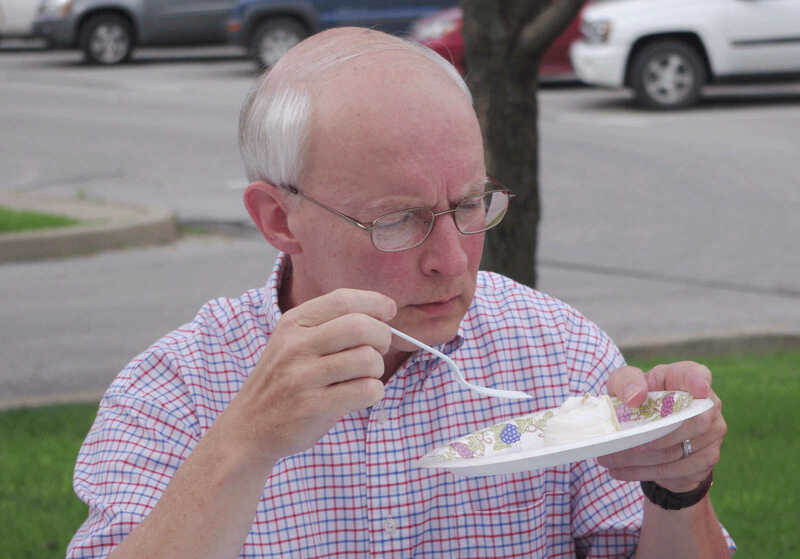 Ice cream judges taste and score the entries.